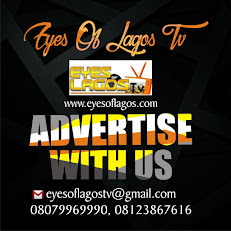 Eyes Of Lagos gathered that, The Academic Staff Union of Research Institutions (ASURI) yesterday picketed the Ministry of Science and Technology, where it announced the commencement of a three-day warning strike. The workers said they were carrying out the strike to protest the anti workers activities by the permanent secretary, Ministry of Science and Technology, Mrs. Amina Shamki. 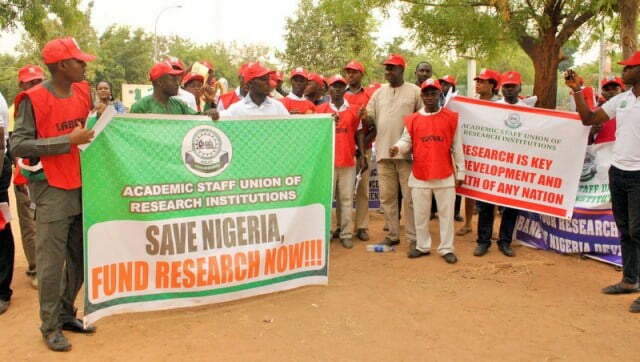 The angry workers who converged early yesterday morning to picket the headquarters of the science ministry at the Federal Secretariat in Abuja, therefore demanded the immediate removal of Mrs. Shamki as permanent secretary of the ministry. Addressing newsmen, the secretary general of ASURI, Dr. Theophilus Ndubuaku, said should their demands not be met at the expiration of the warning strike, the workers will be forced to commence a full strike action. According to him, Shamki has not only refused to recognise three chief executives of the most important research institutions appointed by the minister in NASENI, NBTI and NABDA, but has also remained a stumbling block to the conduct of promotion exercises expected to have been conducted since last year. “This is to inform you that the Central Working Committee (CWC) of ASURI has given approval for all ASURI branches to embark on total nationwide warning strike and picketing of Federal Ministry of Science and Technology (FMS&T) with effect from Monday, June 4, 2018. “The strike is to protest the series of outrageous unfair labour practices and disregard for harmonious labour relations on the part of the FMS&T in snubbing all entreaties of ASURI to address all acts of injustice suffered by our members at NABDA and BIODEC and refusal to conduct 2017 promotion exercises in many research institutions. “If by Wednesday we do not see any positive action from government, we are at liberty to continue our strike. We have given them notice since last year, we had a strike concerning this and we had an agreement with government but it has not been honoured, the permanent secretary is still there causing confusion. “Many of our research institutions cannot conduct their promotion exercise because the permanent secretary insists she must be the one to conduct those promotion exercises. That is not normal, how can you as Perm Sec be running all over the place conducting interviews. “Directors conduct those interviews and so because she wants to be there and does not have the time, the interviews cannot hold and she doesn’t care whether the promotion interviews are conducted or not. This is so discouraging, we have researchers who are frustrated because they are not being promoted. “She is not concerned with the welfare of workers, she is killing the mission and vision of the ministry especially technology promotion. Remove her and replace her with someone who understands this ministry, someone who will obey the directives of the minister and government so that we can have peace,” he said.